It’s time for another quick French lesson, so let’s get to it! The first way most of us learn to say “only” in French is by using the world seulement. But there’s another way to say “only” that was a little confusing to me at first. Today’s quick French lesson is on the word “only.” This is not a comprehensive lesson, nor am I a French grammar expert, so if you want to get super technical and in depth, consult a French grammar book like this one for further info. The most straightforward way to say only is by using the word seulement or in some cases, seul(e). This is the first way I learned to say only in French. For example, if you want to say, “You are the only girl at the party,” you can say tu es la seule fille à la fête. (Keep in mind, seul(e} can also mean alone or even lonely, just to confuse you more. ;-)). A case where you’d use seulement to mean only is if you want to say, “I only have 3 euros in my pocket.” That would be, J’ai seulement 3 euros dans ma poche. That’s easy, right? Yes, and that’s how, even today, I probably say the word only in French 90% of the time. The other, less logical, way for how to say only in French is to use the “ne… que” construction. I learned this after moving here and not really understanding what people were saying. So for example, le magasin n’a que des kiwis pourris (the store only has spoiled kiwis). Or il n’y a que des belles maisons dans cette rue. I just didn’t know that “ne… que” meant “only” and when I’d listen for it (or see it written), I’d either see/hear the “ne” (though it’s often dropped) and think someone was negating something by saying “not” with a “ne…pas” except I’d never hear the “pas”. Or I’d only hear the “que” and think someone was saying “that” or “what” but I couldn’t quite piece it together. Little did I know they were saying ONLY! Ahhhhhhhhh! The “ne… que” construction can get a bit complicated from here. Generally, the ne goes in front of the verb and the que follows it, but sometimes que can come directly before the word you’re looking to emphasize, like in this example: Il n’a bu que 2 verres de vin pour te faire plaisir. (He only drank 2 glasses of wine to make you happy.) There’s also the “ne… pas que” (not only) construction. But let’s leave it there for today, OK? Learn from my mistakes, folks! Even if you personally never use the “ne… que” construction, know that it exists and listen for it. 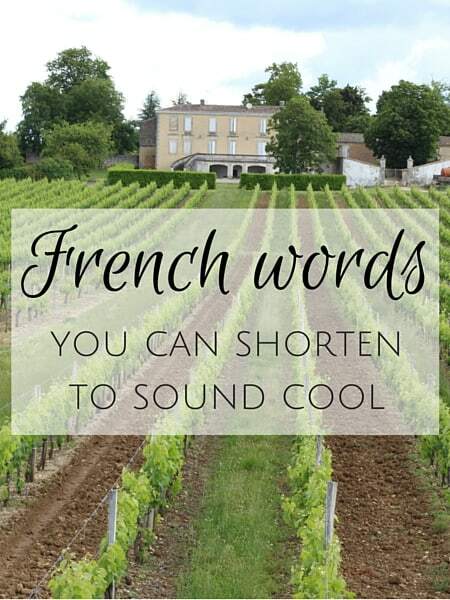 It’s used quite often and is how you say only in French! What has been tripping you up in French lately? Have you ever had a lightbulb moment while learning a foreign language? 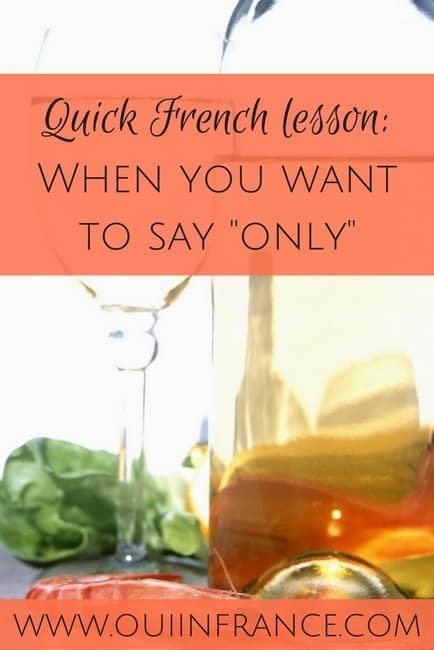 Hope you enjoyed my post on how to say only in French. 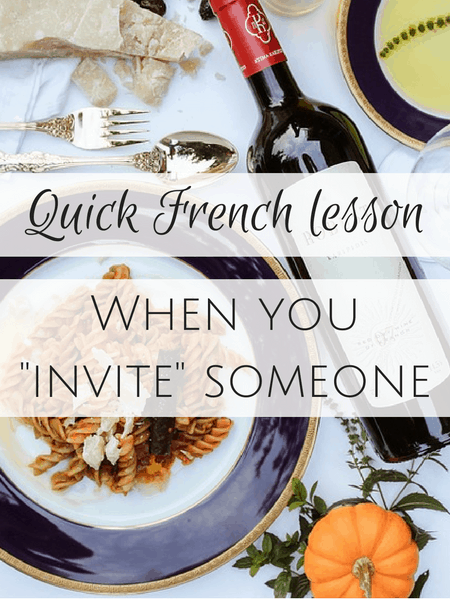 Click here for more Quick French lessons! 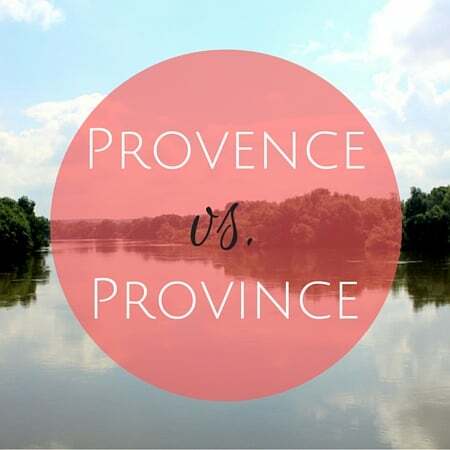 Quick French lesson: Words you can shorten to sound cool Quick French lesson: Provence vs. province Quick French lesson: Les aoûtiens Quick French lesson: Get your wallet ready if you “invite” someone out to eat Quick French Lesson: Where is the Loire Valley and why can it be confusing? I had a hard time with “ça veut dire,” for “that means.” Because a word-for-word translation is “that wants to say,” and how can a term “want”? I even suspected the syllables “ça veut” were some single word that I didn’t know. Aaargh! The dreaded ne que. I always miss this when translating even though I’m well aware what it means. I’m not always sure where the ne and que go in the sentence, so I haven’t been brave enough to use it in conversation, but have written it. Dropping the ne makes it so hard for us foreigners. I just learned this recently and it blew my mind! I always translated it literally and it didn’t make any sense. This is great info! Thanks! !